Today with all the car and truck leases, you don't really see to many problems in your car or truck. Most of the problems are covered by the lease agreements. The thing that you have to realize is that your car and truck is talking to you each day. It is letting you know if it is sick and needs to head into the shop for some repairs. Getting your car or truck into the shop for these repairs before they become big issues is key. These repairs can turn into big ticket problems if you don't respond to the sign quick enough. If you notice any of the signs listed below, you will want to get your car or truck into Tranco Transmission right here in Albuquerque NM. Don't wait, take care of the problem quickly. By far the most common sign (and the most alarming) is if your car is continually slipping out of gear. A slip happens when the transmission either changes gears or falls out of gear (into neutral) without reason. What you’ll experience is a loud whining noise if the case of a downshift or a rapid loss of power in the case of an upshift or if your car goes into neutral.Via: HOW DO I KNOW WHEN TO SERVICE MY TRANSMISSION? Over time, your car’s transmission gets worn with use. What this means is that it will become harder to switch gears and you can sometimes hear a grinding sound or a loud thunk sound when the gear is engaged. The good news is that a simple transmission flush is often enough to fix this problem as long as you respond in time.Via: HOW DO I KNOW WHEN TO SERVICE MY TRANSMISSION? When you shift your car or truck into gear this should happen immediately and quickly. What I mean is that the car or truck should be moving as soon as you put it into gear. If you put the car in gear, and it takes some time before the car moves then you are looking at some type of transmission problem and needs to be addressed immediately. Another sign that your car is having transmission problems is a leak. While most of the time the signs of a problem is a noise, having a leak is just as big a deal. What you want to do is to put something under the car or truck right below the transmission and see if you see red or brown fluid stain in the morning. If you start to see this dripping or leaking of transmission fluid, then there is a problem and you need to have this seen by a transmission specialist. One thing when you find out that you have a leak is that a burning smell will sometimes accompany this. What is happening is that the leaking fluid is hitting the engine or that there is not enough fluid and the transmission is starting to heat up. The main thing here is that you need to take the car into Tranco Transmission on Eubank to have your car seen and checked out thoroughly. This is a must, the longer you wait the worse its going to get. These are just some of the problems that you might see if your in need of transmission service. There is another sign that you need some type of transmission service is the question of what color is the transmission fluid? 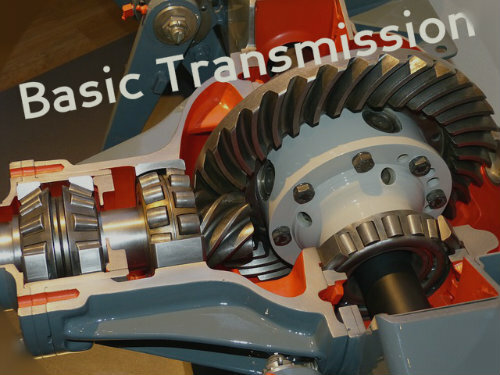 So the first thing that you need to know is how and what does a transmission do? An automatic transmission is made up of a large number of interconnected parts. Every time you step on the gas, a series of valves, gears and other parts have to translate engine power into rotational energy for the wheels. To do this, the transmission feeds power to the wheels using a graduated set of “gears” that are designed to optimize the engine’s RPMs for maximum fuel efficiency and power. Naturally, all of these moving parts generate heat, and it’s the job of the automatic transmission fluid to remove this heat and lubricate all of the parts so they can operate smoothly.Via: What Color is Transmission Fluid? The color (typically red or green) is added to help you distinguish transmission fluid from other fluids in your car such as engine oil or antifreeze. The color can also tell you if it needs to be changed and give you an idea of its condition. Let’s find out how…Via: What Color is Transmission Fluid? With today's transmissions and how hot they can sometimes get, the manufacturers use different compounds to allow the internal components in the transmission to last longer. Looking at new transmission fluid it will appear to be a pink or red color. This can be very hard to see when looking at the fluid on the transmission dip stick. So what you have to do is to have a clean white rag and then wipe the dip stick on the white rag and you will then see the pink or red color clearly, that is if the fluid is good and new. As the fluid moves around in the transmission, it then passes thru the radiator where the fluid is cooled and then returned to the transmission. As time passes and this process happens over and over, the color of the fluid will turn to a translucent red or even brownish color. This is now indicating that the fluid is getting old and worn. When this happens it does not absorb the heat as well and also the lubrication qualities will start to diminish. Now you will start to have the transmission parts start to wear more and this is not good. There is a filter in the transmission just as there is a oil filter. It is recommended that the filter and fluid be changed between 30,000 to 50,000 miles. If you tow more, then you need to change the fluid and filter more often. As time goes by, the fluid can change from this pink or red color to a black color. When this happens the fluid is severely compromised and should be changed immediately. Black fluid will even smell burnt and this is indicating that it is not removing any heat or lubricating the moving parts anymore and action needs to be taken. You should make an appointment with Tranco immediately and have your transmission serviced. Sometimes the fluid can look foamy and when this happens it means that the water from the radiator is getting into the fluid somehow and this problem also needs to be fixed immediately.